Aside from wanting to visit every country in the world, Vietnam was never high on my travel priority list. 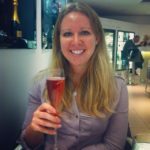 I didn’t know much about the country and had heard great things about places like Thailand and Indonesia so I thought they would be my next Southeast Asian destinations. However, last year a friend who knows how much I love traveling was looking for someone to explore Vietnam with her. 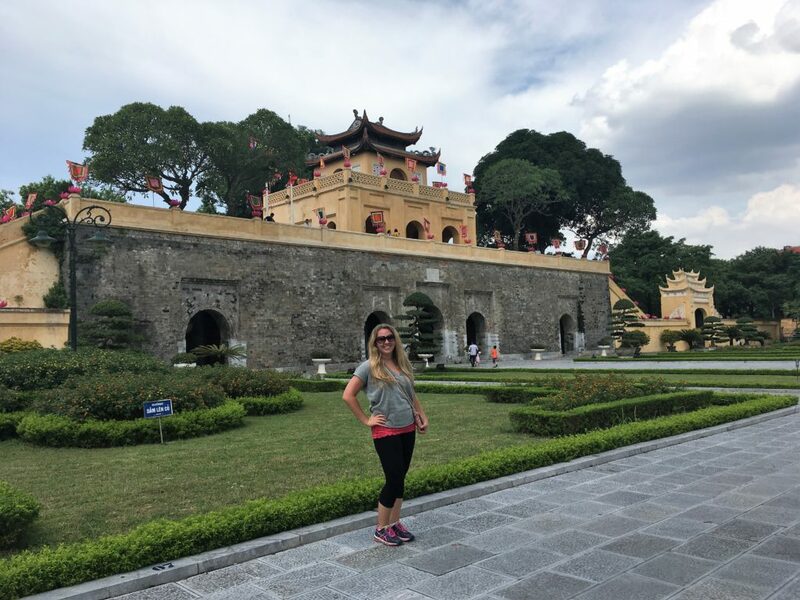 She implored me to look into the country before saying “no.” After doing some research, mainly on travel blogs like The Blonde Abroad and Nomadic Matt, I determined it was a great time to visit Vietnam! 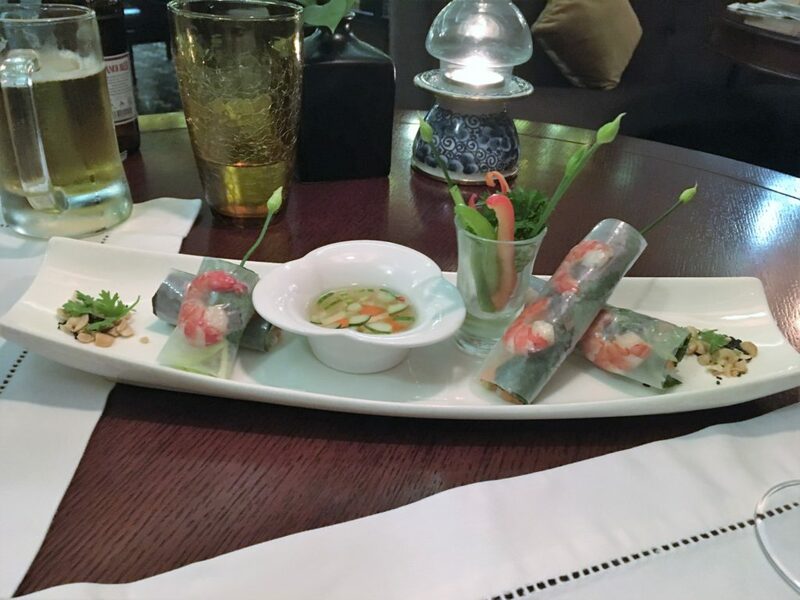 See below for recommendations from our first stop, the capital city Hanoi. 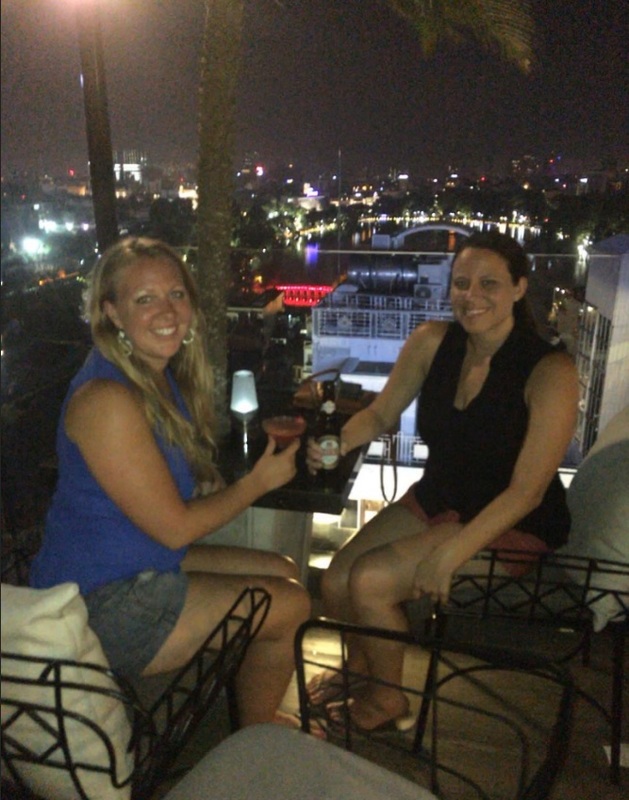 We arrived late on a Saturday night in Hanoi after traveling for over 20 hours from Boston by way of Tokyo. Our hotel, Hanoi Imperial Hotel*, was located in the Old Quarter a few steps from Hoan Kiem Lake. Though it was very late, we were able to find dinner by the lake and explore the plaza. There were locals who were sitting around on plastic stools talking and listening to music. The atmosphere was very relaxed, which was exactly what we wanted after a long flight. We bought a couple of beers from the convenience store for less than $1 and wandered around the area. The lake was beautiful with the bright red bridge in the center. Though the temple was closed at night, we still explored its exterior architecture. We even encountered a man meditating on a rock pile, who had been so quiet and still when we first passed him we didn’t even notice he was there! The next two days were spent walking all over the city doing sightseeing. 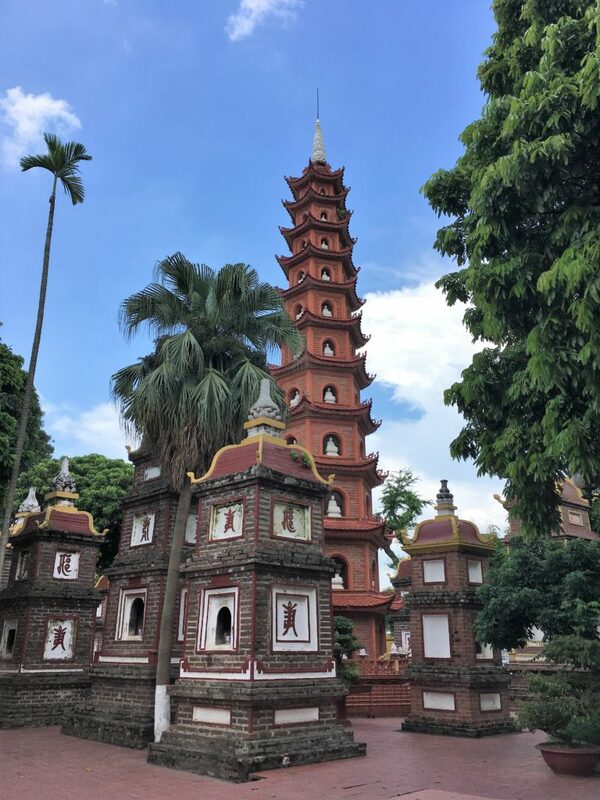 We traversed the streets in the heat up to West Lake, a bustling shopping and food area with the Tran Quoc Pagoda on a peninsula in the center. This was where we encountered our first cultural difference experience. While it was easily over 90 degrees Fahrenheit, no one was allowed onto the peninsula with bare shoulders or knees. My friend was reasonably wearing a tank top. This caused her to be barred from entry not only by the groundskeeper but even other locals! 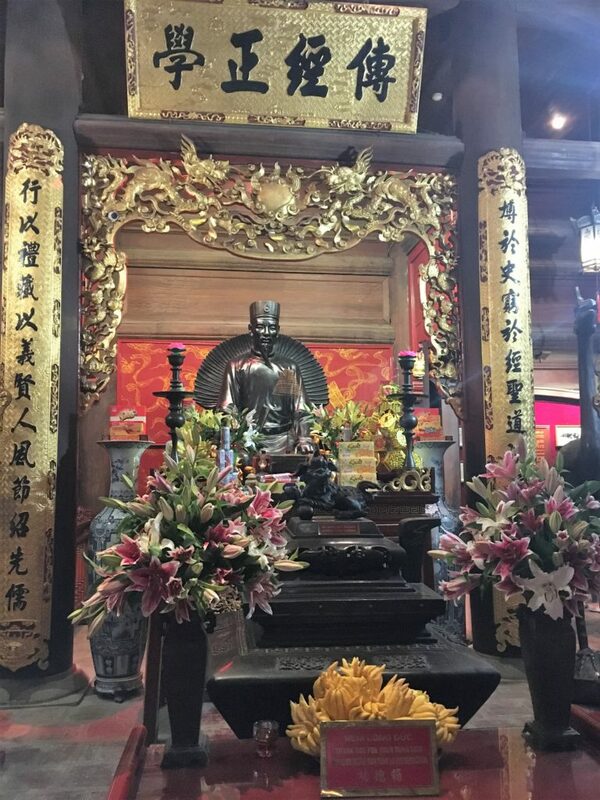 This happened again later at Ho Chi Minh’s Mausoleum, showing that the custom relates more to their perception of respect and reverence than religion. 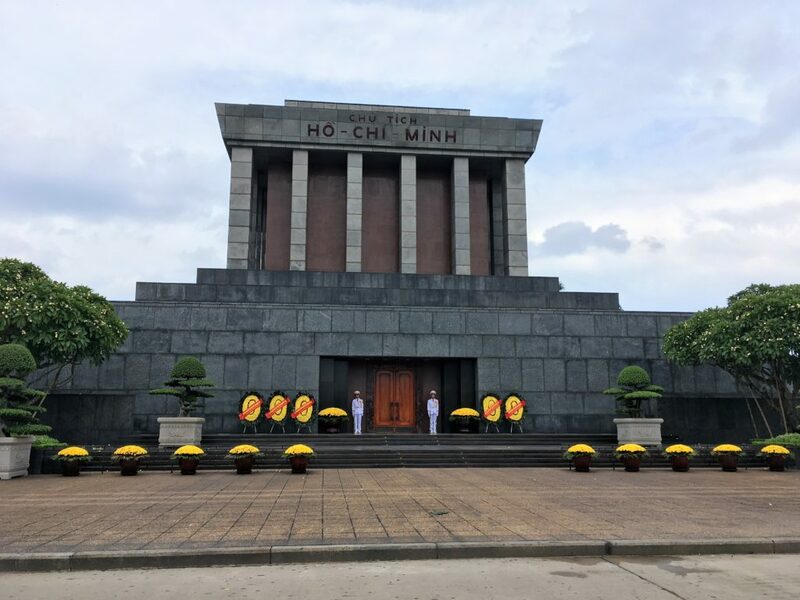 Ho Chi Minh’s Mausoleum: we were not able to go inside as Ho Chi Minh was not even there! He was in Moscow at the time. Both the Chinese and French influences were prevalent throughout the city. China is the regional hegemony and shares a border with Vietnam. It has controlled the Vietnamese land many times throughout history. This is apparent in the architecture, language, and religion in Vietnam. 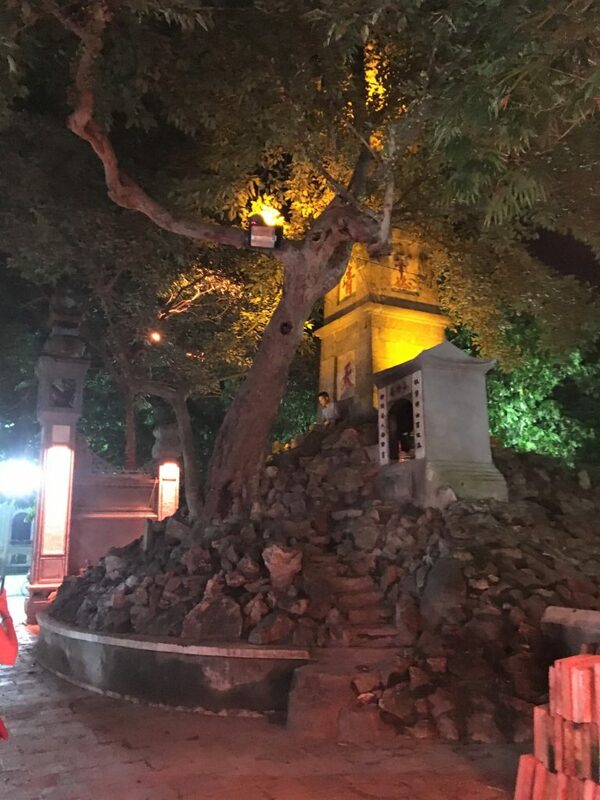 When visiting the Perfume Pagoda and the Temple of Literature, I felt like I was back in Beijing. The architecture is exactly the same as the Chinese Buddhist temples and the Confucian temple of learning. The concept of having a non-religious temple complex build for higher learning and education was also very Chinese. The French influence was prevalent less in the tourist attractions and more in the buildings around the city. It was characterized by the bright mustard-colored paint and European designs. 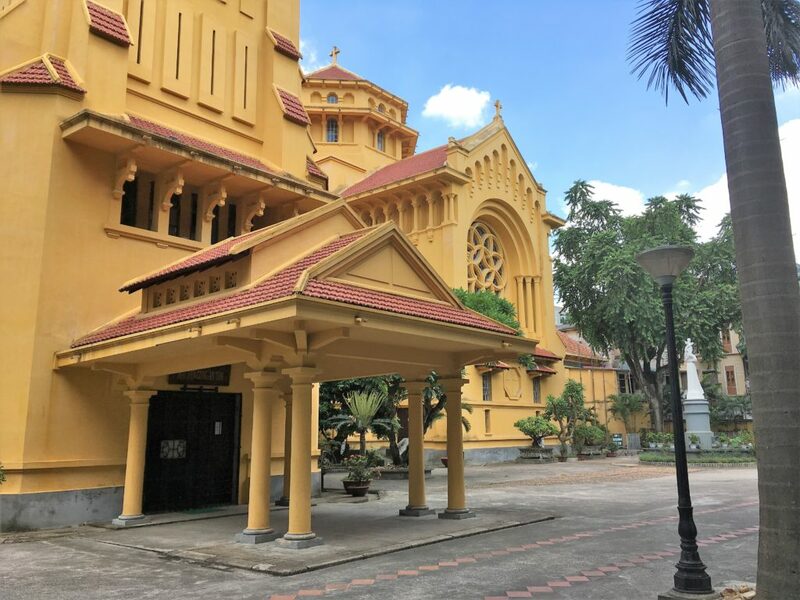 Most of the buildings are now Vietnamese government buildings, though there was one church that was clearly French-colonial too. The other French architecture remaining in the city was the Hoa Lo Prison. Built by French colonists in the late 1800s, the prison was originally used to house Vietnamese dissidents. When the Vietnamese threw out their colonists and were fighting Western powers during the Vietnam War, they used Hoa Lo Prison to house Prisoners of War (including John McCain). 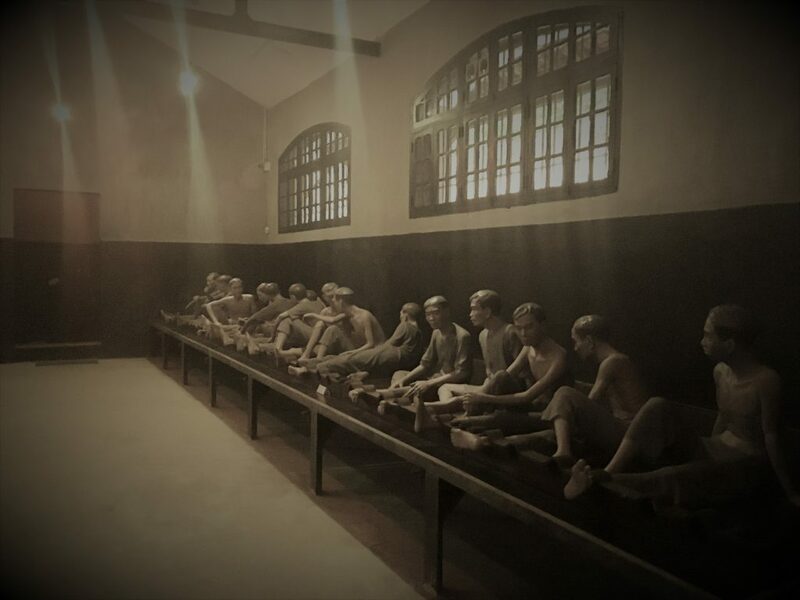 The experience visiting the prison was sobering but also fascinating and something I recommend to everyone who visits Hanoi. The Imperial Citadel also provides a sobering experience to Western visitors. Restored to its current state in the late 21st century, you can see influences from both Chinese and French architecture in the Citadel. 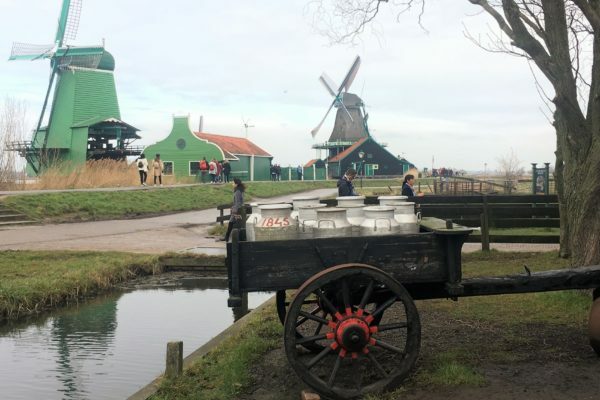 The grounds are beautiful to explore and almost no area is barred to tourists. The complex has been used for government and military functions for centuries. This seems normal until you realize that includes Vietnamese military functions during the Vietnam War. 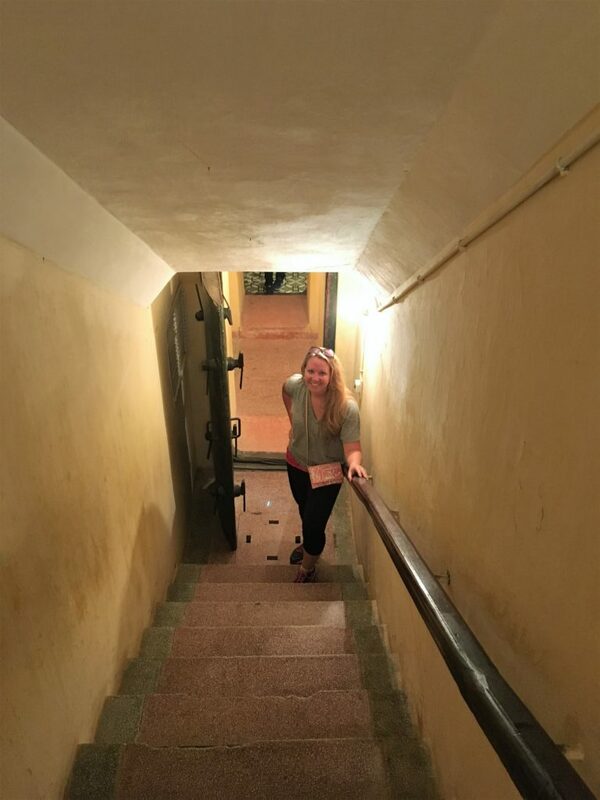 Tourists can visit the room where generals planned attacks on Western forces and the bunker rooms where they hid when under attack. 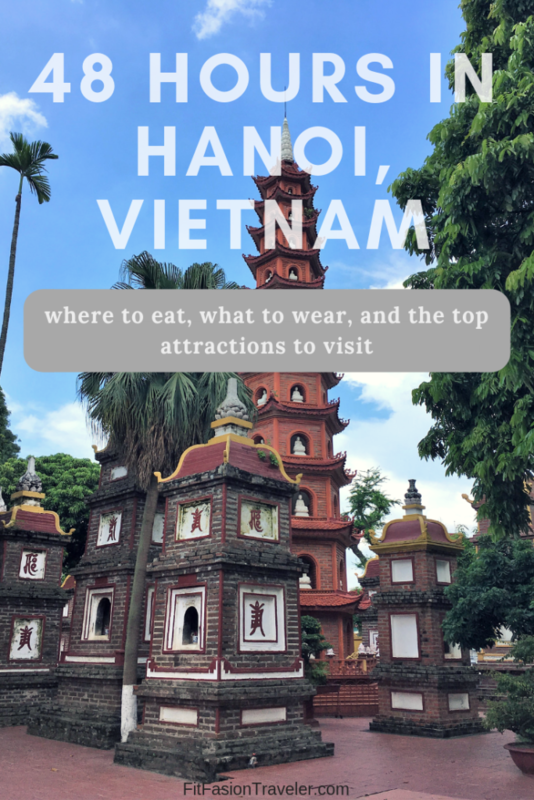 It is another can’t-miss attraction when you are in Hanoi. 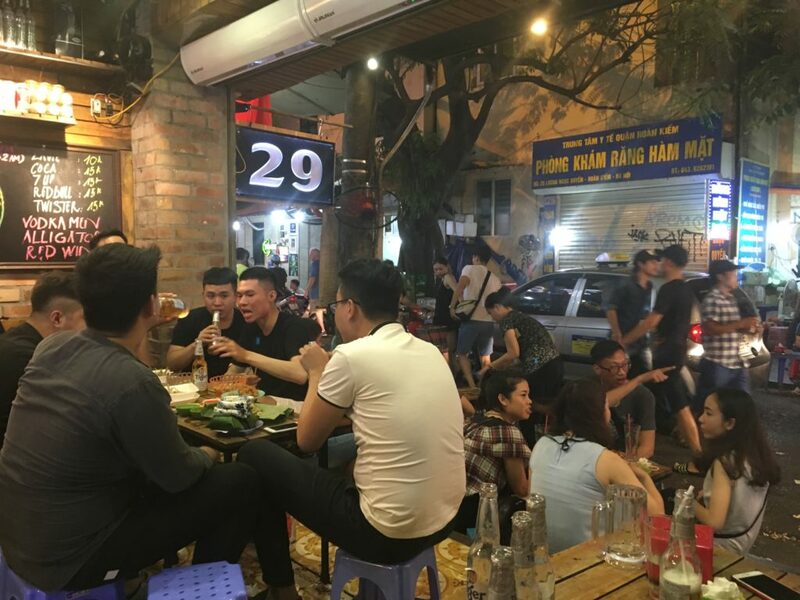 The nightlife in Hanoi is casual and unique in culture, like many other things in the city. If you prefer lounging in high-end clubs, Saigon will be more your speed in Vietnam. 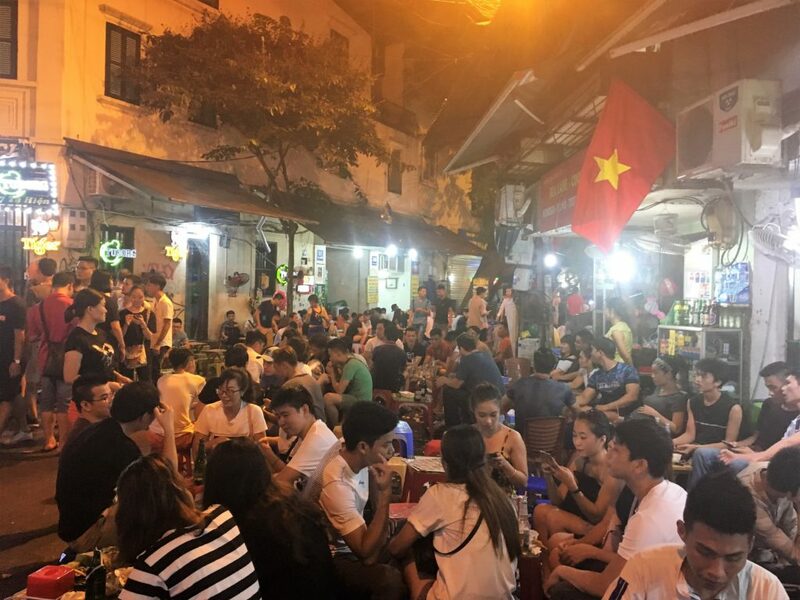 If you want to hang out with the locals and wander the streets from bar-to-bar in a vibrant, outdoor city at midnight, be sure to do so in Hanoi. We were the only non-locals in this bar at the time! They all deterred us from ordering the street food they kept bringing in, probably for the best. 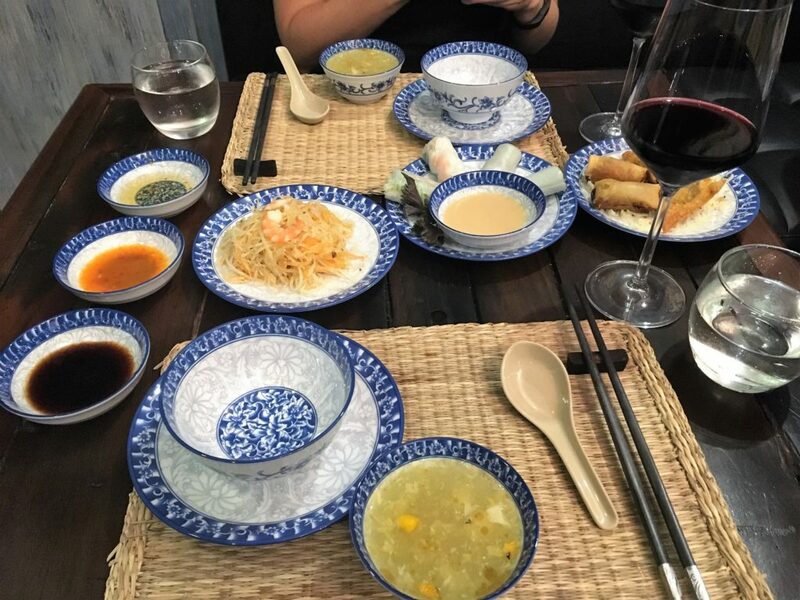 In Hanoi you can’t help but experience the culture firsthand, even as a tourist. 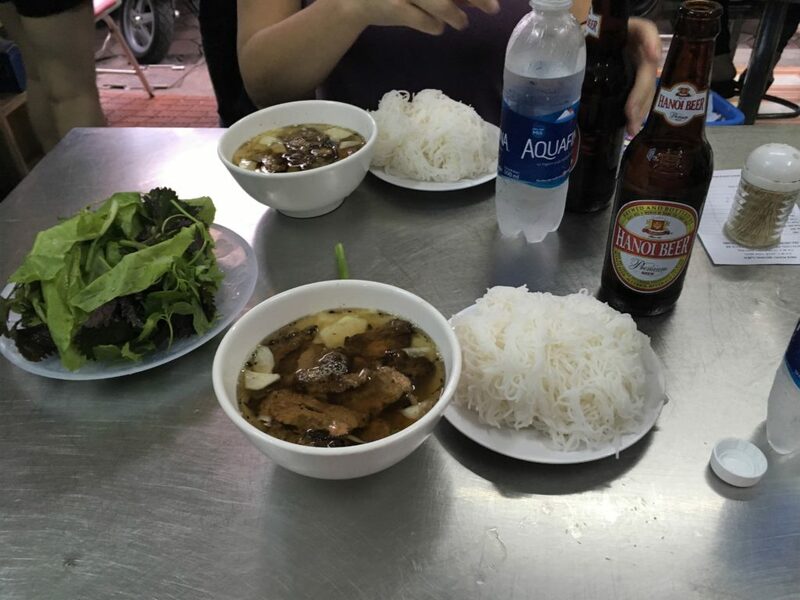 There didn’t seem to be any way for my friend and me to insulate ourselves in a Western-culture bubble while in Hanoi, not that we wanted to! 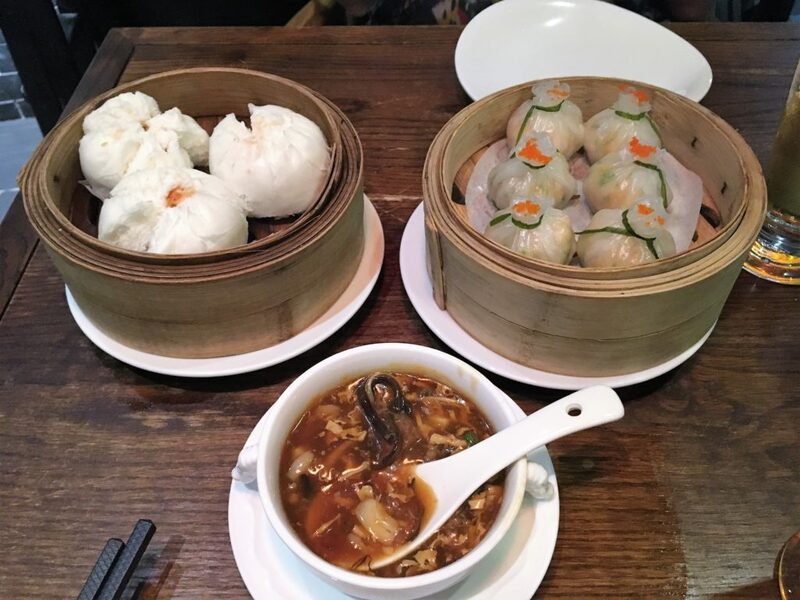 One of the most important parts of any culture is the food! 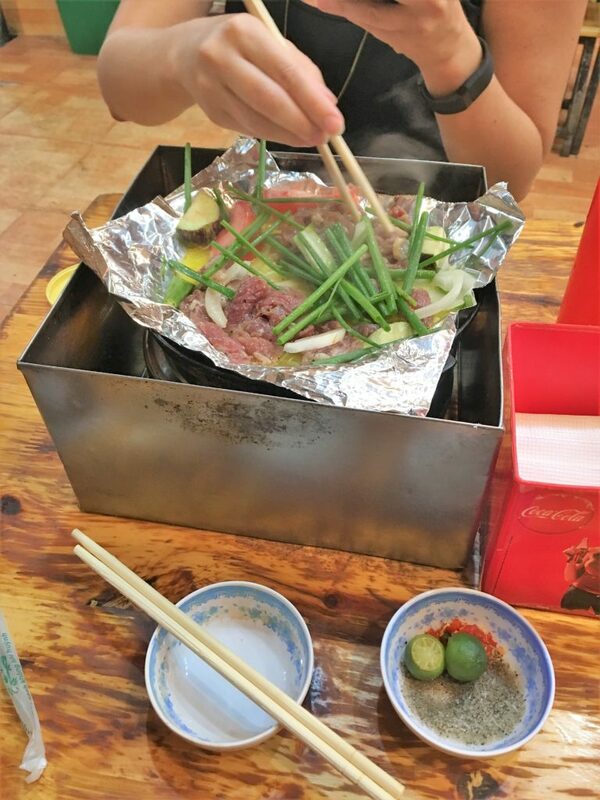 We enjoyed meals at fancy-but-cheap restaurants and local hot spots with open air seating and plastic stools. 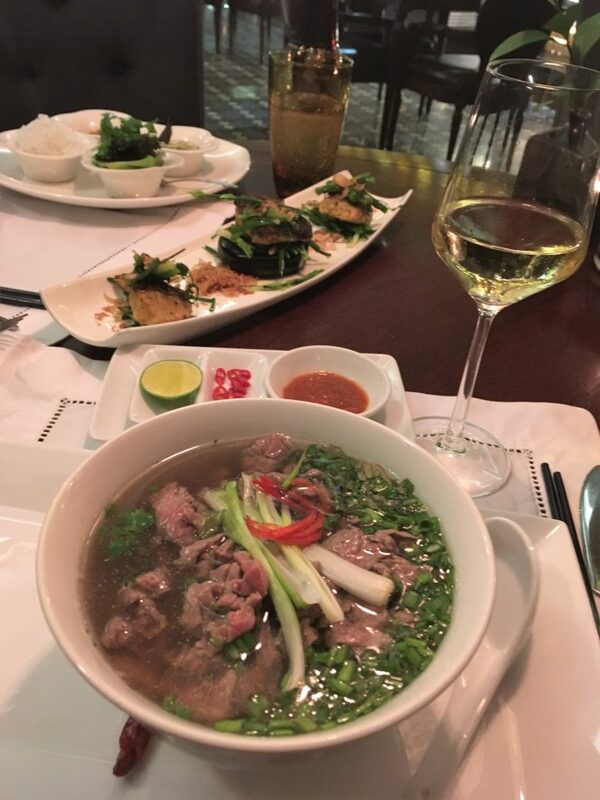 Our favorite dishes were the spring rolls (both fried and fresh), beef pho, and Vietnamese barbeque. 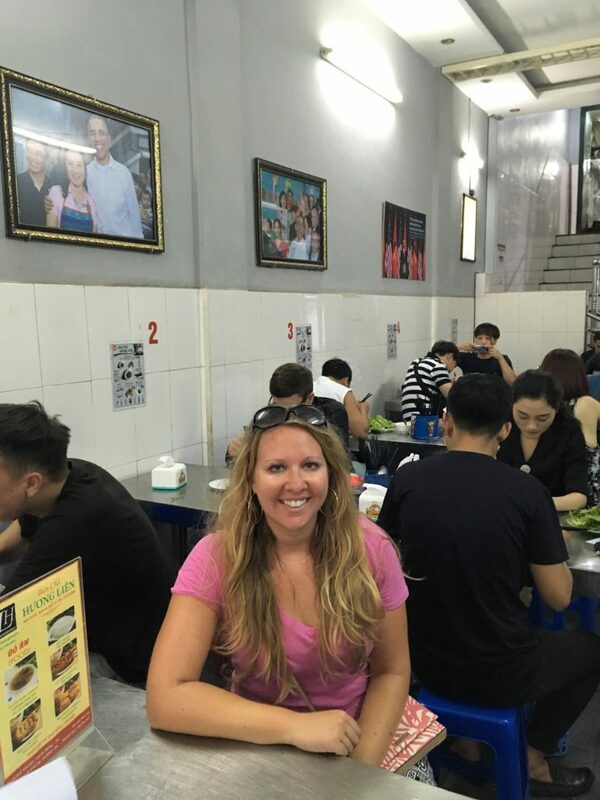 Eating Bun Cha at the same restaurant President Obama visited with Anthony Bourdain, Bún Chả Hương Liên! Because of the purchasing power parity in our favor, my friend and I knew that we wanted to get massages while in Vietnam. We had one at our hotel for $20 which was amazing. The next day we found a spa on a side road in the Old Quarter that we liked even more, the Midori Spa Hanoi. The services here were great and the massage was only $15. Best of all, the spa was also part of a social justice project. All the masseuses were blind! In Vietnam, where most jobs are service-related, sight-impaired citizens have trouble finding meaningful work. The Midori Spa hires blind people, trains them in massage therapy, and has them work like any other masseuse would. 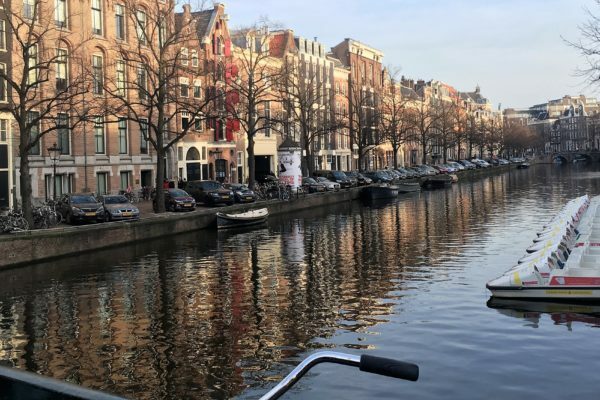 We loved being able to help such a great project and also relax while on vacation. Most people I encounter who visit Vietnam talk about the amazing bespoke clothing they have made for themselves. Unfortunately, my friend and I did not dedicate much time to shopping and therefore ran out of time to have self-designed clothes made. However, I purchased an original dress from a tailor tailor in the Old Quarter a couple of hours before we left for the airport. She even customized to my body by bringing in the waist and raising the hem. The shop had a number of dresses pre-made by the seamstress, and she also offered bespoke services, so if you are looking for specialty clothing I would search for bespoke tailors in Hanoi’s Old Quarter. 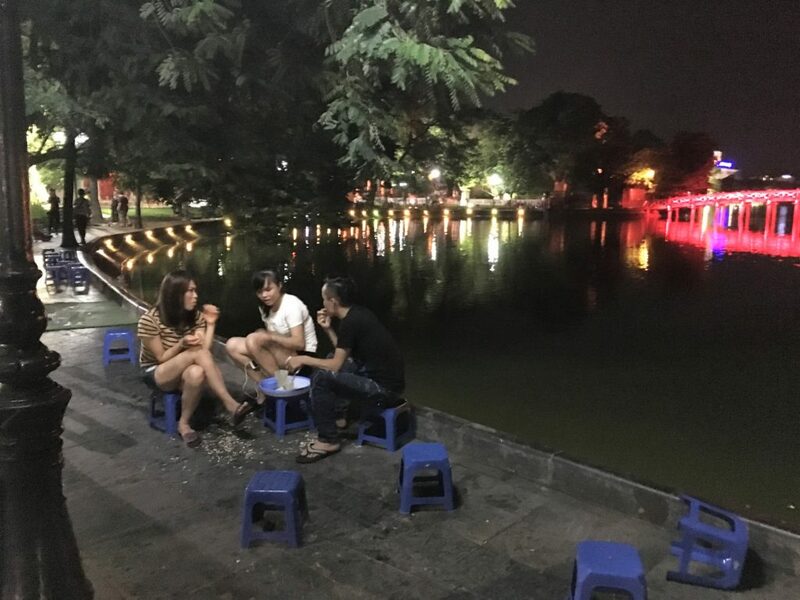 There were cultural differences in Hanoi that seemed odd to my friend and me, as there would be in any setting different from where you live. We arrived in Hanoi for the National Day weekend celebrations. 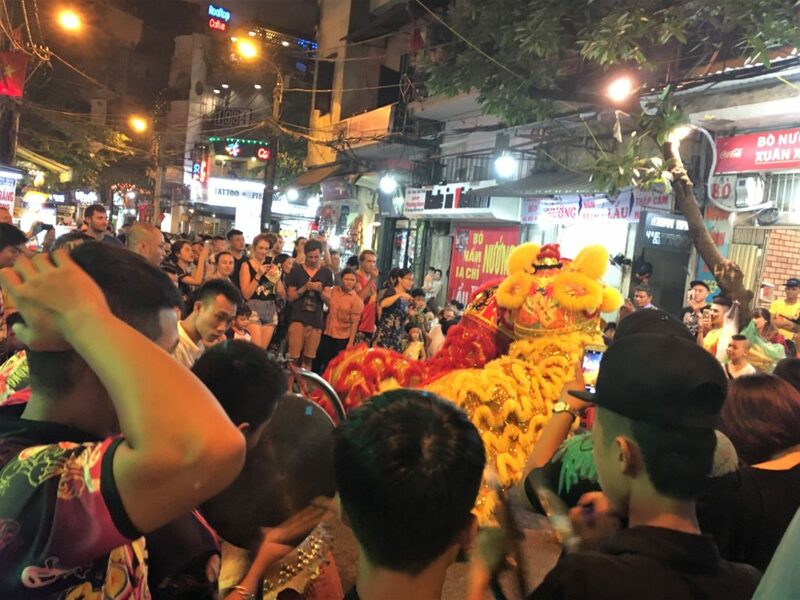 During this time we saw an unusual Vietnamese custom tied to both the culture and religion: the burning of money as an offering to ancestors. We saw many piles of stuff burning in the middle of sidewalks and roads on the first day, so we thought everyone was burning their trash. We later learned that those were all offerings to ancestors. This seemed odd but acceptable until we saw one woman burning multiple $100 USD bills at the Perfume Pagoda. Perhaps she was wealthy, but she looked no richer than anyone else we had seen on the streets of Vietnam. 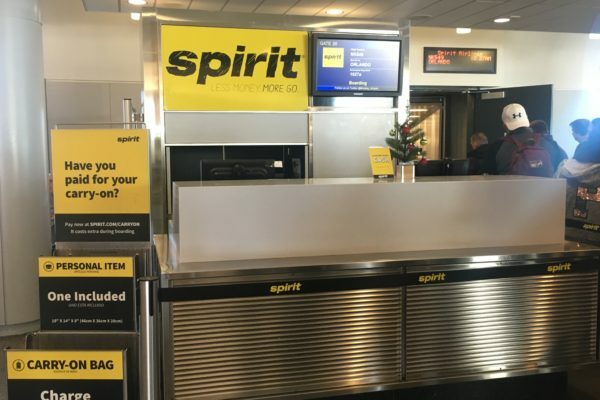 It seemed completely irrational to us that someone would burn that much money as an offering, especially when we had not seen that much anywhere else in the city. Another difference that I had expected but my friend had not was the “paparazzi” experience. There are very few white people who visit Vietnam, so seeing us was a rare experience for local people. I never felt unsafe because of my ethnicity or hair, but it did result in many people taking pictures of us or with us! The first time it happened, two women who did not speak English were holding their camera out to my friend at a tourist attraction, so she thought they wanted us to take a picture of them, but after some gesturing we learned that her companion wanted a photo with us. This happened a few more times throughout the trip, an experience we had fun participating in. However, there were also a number of people who randomly took photos of us as we passed them on the street and sat in restaurants. They were less than subtle about it, an unusual experience that made us understand better how celebrities must feel trying to live their everyday lives. 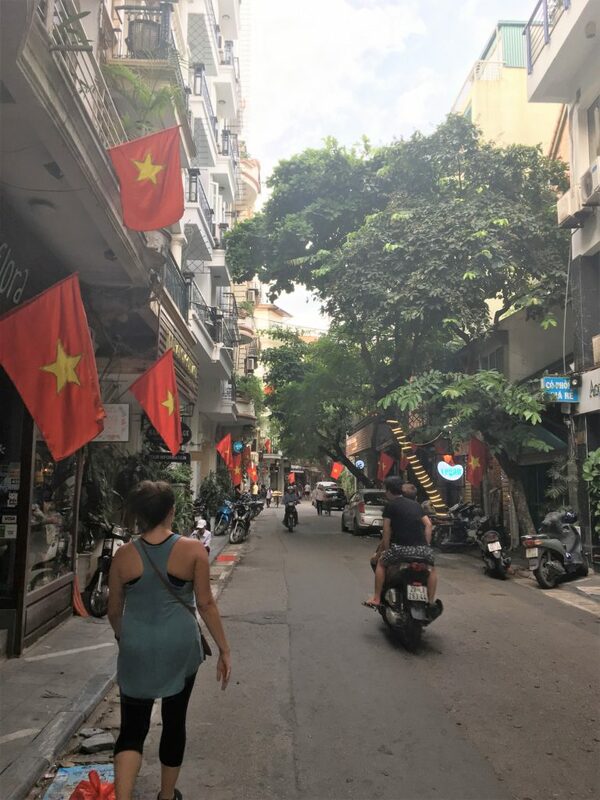 Overall, our visit to Hanoi was incredible in unexpected ways, and I would highly recommend it to anyone considering Southeast Asia! 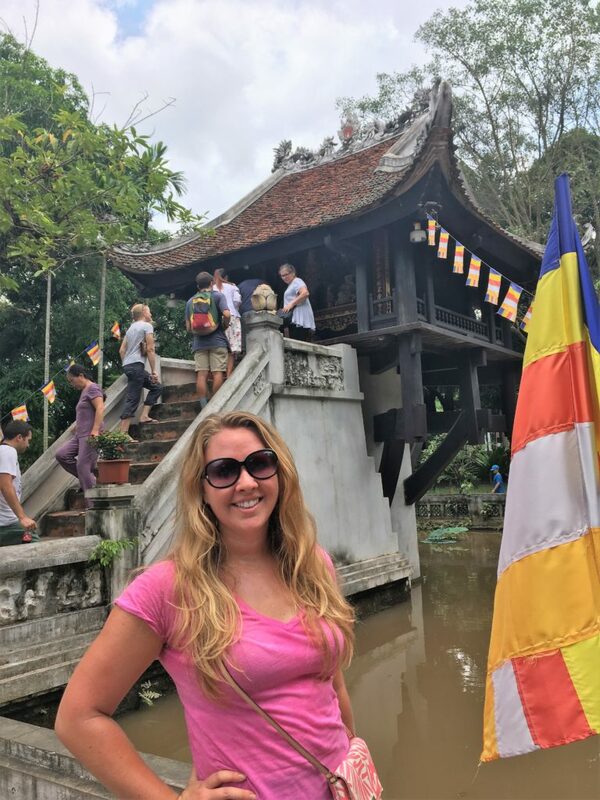 I know there are some negative reviews about Vietnam in a few travel blogs, but as long as you are ready to accept the cultural differences and recognize when something is part of their culture versus locals trying to take advantage of tourists, you will have an enjoyable trip. *Note that this is an affiliate link, meaning that if you make a booking using this link I get some bonus at no additional cost to you. Still, I will only link to and recommend places I actually enjoy and want to recommend! Thank you! Love this post? Save it to Pinterest for later! I might go just because of the massage prices!